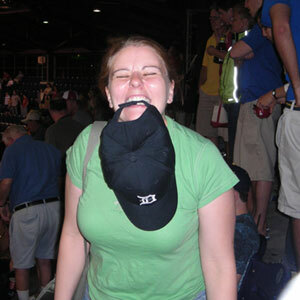 I’m not a fan of inter-league baseball. Keep those wimpy non-batting American League pitchers where they belong, please, until the World Series. 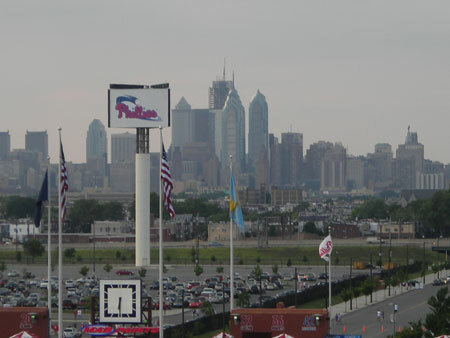 Anyway, there were only 3 days this year when the Philadelphia Phillies (currently .514 and my home team) played the Detroit Tigers (2006 AL Champions, 2006 World Series losers, and the Wandering Minstrel’s home team). 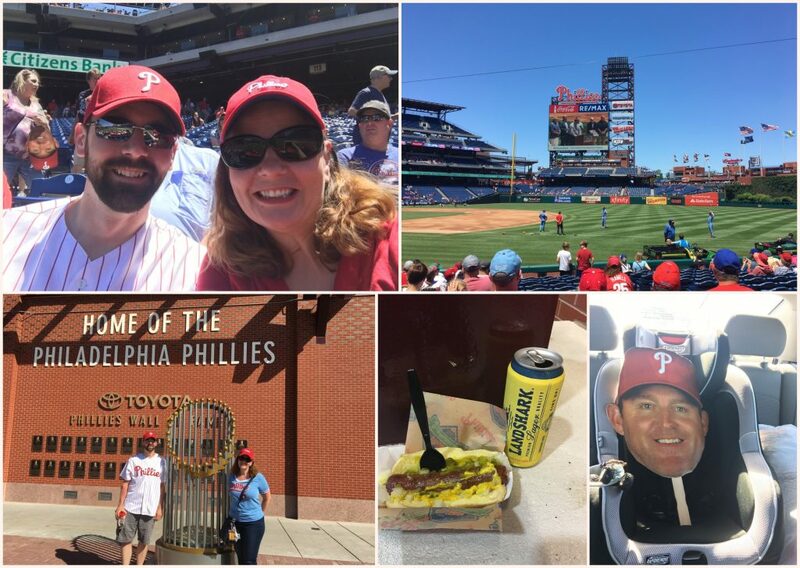 And, what luck…they played in Philly last weekend! So WM and I had a day at the ballpark last Saturday. It was a lovely day…not too warm, and with a fantastic breeze. And I know you’d be jealous at our 2-rows-away-from-the-last row-in-the-far-outfield seats. The view was quite lovely. See the new Comcast building towering over the rest of the skyline? 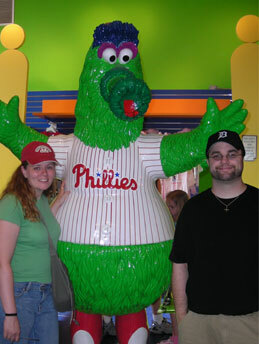 We chose a GREAT night to buy tickets, as the Phillies won the only game of the 3-game series that night. In future “outing” news, WM and I will be attending the Celtic Festival and Highland Games on Saturday. I’ve never been to something like this, (his idea) and I’m worried that it’ll end up being very Ren-Fairey. I don’t really want to go to a Ren Faire. Why not? See…I have a little bit of an addictive personality. If I like something (World of Warcraft, Dancing with the Stars, Pocky) I’ll throw myself into it bigtime. This is why I try stay away from institutions/phenomena with their own fully-established cultures and followings. Like Star Trek. If I watch one episode, I’ll probably fall in love with it, go to conventions and learn Klingon. If I read any “Lord of the Rings” books I’m afraid I’ll end up writing myself into Aragorn’s arms via very bad fan fiction. And learning Elvish. You know…so we can talk secretly. My big fear about the Celtic thing/Ren Faire is that I’ll end up REALLY into it. 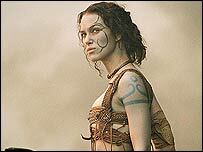 I’ll rename myself Boudicca and paint my face with woad. I’ll find “my people” as it were and next thing you know this whole website will be about Celtic knots.